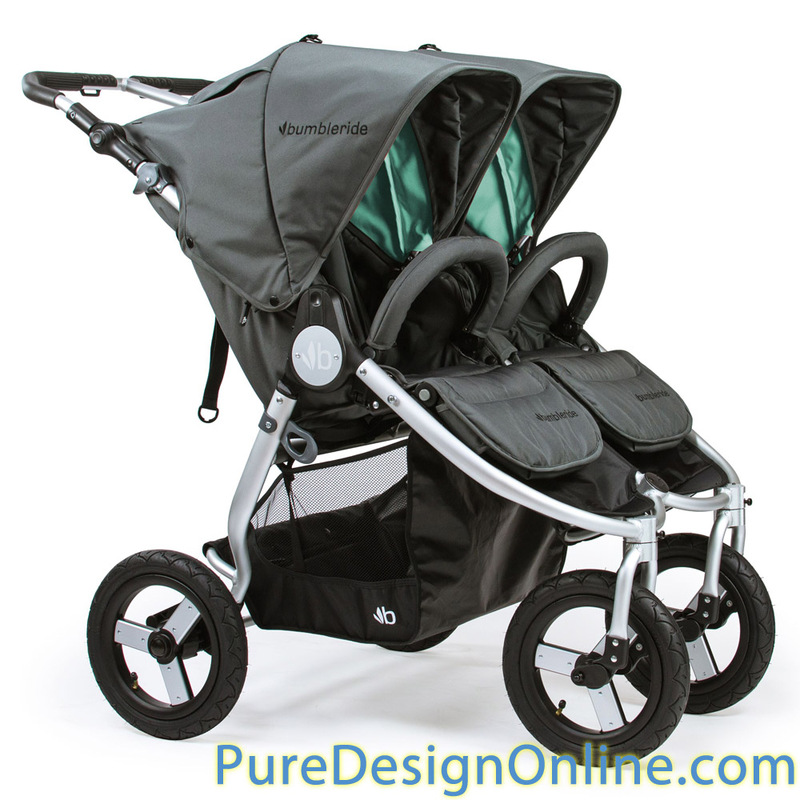 Bumbleride Indie Twin Stroller (BRTWIN18) at Pure Design Kids / Tots-n-Toddlers / Strollers ::: Kids' Toys, Furniture and More at Pure Design Kids! Double the fun! Indie Twin offers many options for multiples beginning at birth, so you can still get out and do what you love. With twins or an infant and toddler, this versatile side-by-side gives you a customized fit for each little one with quick access to both. The narrow silhouette, smooth maneuverability on air filled tires and canopies redesigned with more headroom and sun coverage make Indie Twin's adaptability unmatched. Folding Indie Twin is easy and completely seamless thanks to the ergonomic trigger release on the handlebar. Stay on the move with two.